Plastics and polythene has gotten a lot of negative press recently, but it is incredibly important in industry and especially in the food industry where its use can actually help to reduce energy, to keep prices lower and prolong the life of many food items. There are many different instances where you see polythene being used in the industry and there are also differing types of polythene depending on its application. Once a material is approved to be used with and come into direct contact with food then it needs to be purchased from a reliable source. The polythene manufacturer should hold an ISO 9000 certificate to ensure that they follow the correct processes and procedures. They should maintain high standards and be able to trace the material from start to finish during the production process. Any wholesaler or retailer of food grade polythene needs to feel confident and be able to prove that their polythene has been manufactured correctly and is indeed food grade. With recycling playing a more important role in everyone’s lives today, the segregation and correct disposal of food waste has become part of day to day life. For any business in the food industry the ultimate goal is to reduce the amount of waste created, but whilst zero waste would be amazing, it’s an unrealistic goal. Using food waste bags and sacks that are easily identifiable helps to sort waste into categories and make sure that it is disposed of properly. Try to use degradable waste bags for all of your food waste. We supply food waste polythene bags and sacks across the UK to both businesses and local councils. Not only do we ensure our bags are of an excellent standard, we also have the expertise and experience to go along side it. We are more than happy to offer our customers advice about the best products to use for differing applications and have a wealth of knowledge when it comes to all things polythene related. We hold a large range of items in stock and for those, can offer incredibly fast delivery. We are also able to process and non stock items quickly, getting your order delivered to you as soon as possible. 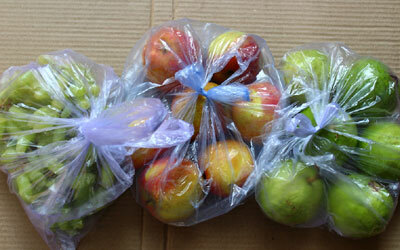 You can find out more about our food waste polythene bags and sacks here.